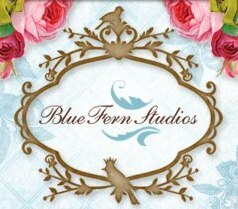 It's my turn today over at the Blue Fern Studios blog, and I will be sharing my projects over the next couple of days. Today I'm showing you my next art journal page, which again took me outside my comfort zone and forced me to try some new things in experimenting with the more "flat" look which goes a bit against my usual style. But I believe that we need to expand our interests, never stop learning, and just continue to grow any way we can. I drew in the circles by hand before applying the watercolors. I then used a stamp sent to me by my sweet friend Patter Cross to accent the circles. I love this quote- and I think it's a great reminder to us all not to get caught up in the daily grind and take the time to actually live our lives. And the photo of Wyatt that I included just makes me smile- I wish we could all be as happy and carefree in our lives as he is! 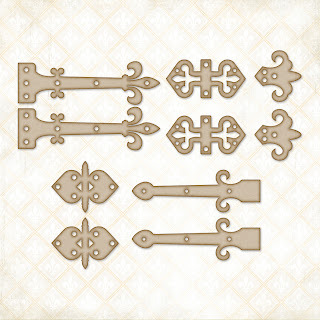 I've used a couple of the Blue Fern Studios Manor Hinges to accent my pages. They've been primed with gesso and stamped before being painted with some watercolors and embossed with some gold embossing enamel. See you back with my other two projects for Blue Fern tomorrow...see you then! I love this kind of art journals, something between art journal and scrapbooking.For me it makes my art journal fun useful. I love to do it, I use the pictures that mean a lot to me , but don't look good to show the world. My only issue(how do you solve that? ), the mediums stick to my picture, even when I seal it with mat medium. I love the circles, they are there and you cant oversee them :). Thats fun, why not? This double pager looks wonderful.. great details!! Your pages look wonderful! I recently started a journal and have completed two pages, so it's definitely experimenting. In reading a comment above, are you supposed to seal your pages? This is fantastic Erin! Good to see you getting the knack of the art journal thing too!